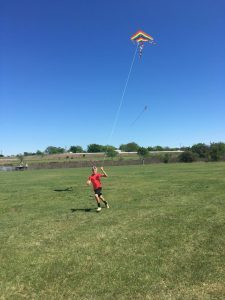 Benbook Ranch Park – Soccer and softball fields, group pavilion, hike and bike trails, a BMX track, skate park, playscape, a disc golf course, and restrooms. 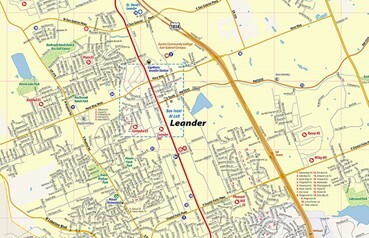 Benbrook Ranch Park is located within the Benbrook Ranch subdivision. Devine Lake Park – Facilities include a 25-acre lake, pavilion and wooded picnic area, playscape, off-leash pet area, hike and bike trails, fishing and restrooms with 110 parking spaces. Activities allowed: fishing, non-motorized boating, and wildlife observation. Trolling motors are not permitted. Access to Devine Lake is within the North Creek subdivision. Mason Creek Park – A charming neighborhood park nestled in the Mason Creek North subdivision. Amenities include a large playscape, a small trail, and a water fountain. There are also picnic tables for small parties and dining in the park. Robin Bledsoe Park – Facilities include lighted baseball and soccer fields, playscape, swimming pool, water playscape, pavilion with picnic tables, BBQ grills, concessions, restrooms, basketball court, and an amphitheater. 2. See the Trail of Trains. 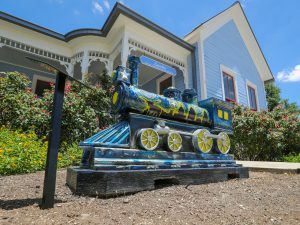 The Trail of Trains is a project to bring artfully designed concrete trains to Leander, Texas. Stop by the Chamber for a gift when you visit all of them! 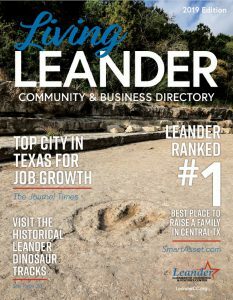 The geology and weather of Leander, Texas has preserved a number of amazing fossils. The “Leanderthal Lady” – Back in 1983, a woman’s skeletal remains were found on a construction site. After close examination it was determined she was 10,000 to 13,000 years old. This site was one of the earliest intact burials ever found in the United States. This prehistoric woman was dubbed The “Leanderthal Lady”. You can observe and read the burial markers, which are on the south side of RM 1431, approximately one mile west of Parmer Lane. 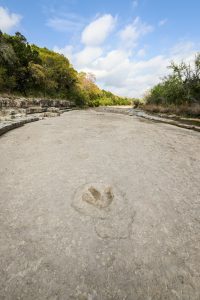 One of those fossil records is a set of dinosaur tracks possibly made by an acrocanthosaurus in the South Gabriel River in northern Leander. The acrocanthosaurus looks similar to the famous tyrannosaurus rex to the average observer. 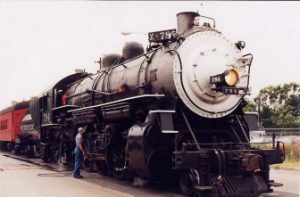 It stood 15 feet tall and 38 feet long. It’s possible to hike down the San Gabriel to see the prints. The river bed is public property but it is not a maintained park. There are no signs or bathrooms so use caution when navigating the trails and keep an eye out for snakes and other the wildlife. Just north of where 183 and 183-A come back together, you’ll find the bridge over the South San Gabriel. The tracks are found on the south side of the river, just about a half-mile downstream from the bridge. It is easier to find them when the river is dry. They are often covered with water when we get plenty of rain. 4. Spend a day on the golf course. 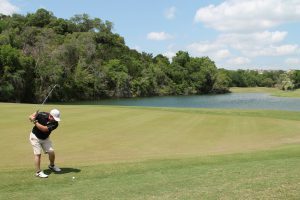 Crystal Falls Golf Club – This 18-hole, 6,654 yard, par 72 course is the “gem of the Hill Country,” challenging golfers of all skill levels. Facilities include a driving range, pro shop, snack bar, and covered patio. Texas Stars Hockey Club – Fans are coming from all over Central Texas to see the top minor league affiliate of the Dallas Stars. 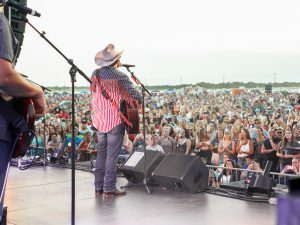 With an average attendance of well over 5,000, the Texas Stars are making Leander a destination for sports fans in the region. 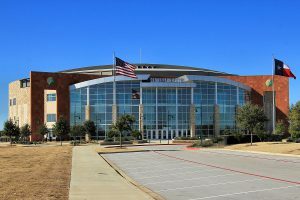 Austin Spurs Basketball – An affiliate of the San Antonio Spurs, this team plays home games at the Cedar Park Center. Round Rock Express Baseball Club – Visit the Dell Diamond in Round Rock to watch this AAA affiliate of the Texas Rangers. 6. Experience a piece of history. Bagdad Cemetery – Several Civil War veterans can be found in this cemetery established in 1857. 7. Have fun at an event. Movies in the Park – Outdoor movies shown on Friday nights in the fall and spring in Robin Bledsoe Park. Perfect night out for the family! Liberty Fest – Celebrate the 4th of July at this free event with live music, vendors, children’s activities, and fireworks. Christmas Parade and Tree Lighting – Celebrate the season on the first Saturday in December with the 5K Rudolph Run, pictures with Santa, holiday hayrides, yule fire, choral performances, and a variety of vendors. Old Town Street Festival – This premier event features wine, food, art, and music, and is held on the third weekend in May. 8. Take a ride into Austin and back. 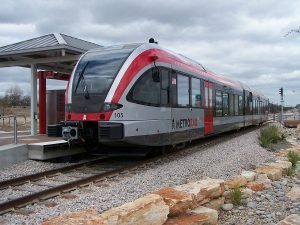 Capital Metro Train – Leander is the northernmost station on the MetroRail route, and from here you can be conveniently dropped off on 4th Street, in the middle of downtown Austin. 9. 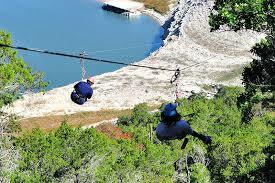 Zipline across Lake Travis. Lake Travis Zipline Adventures – Hike or bike around the lake or take a ride above the treetops on the longest zipline in Texas!